Hypertension is one of the causes of cervical artery dissection and aortic dissection, aside from the underlying diseases that increase one’s risk of these conditions. 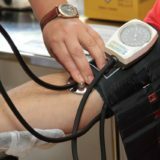 Certain lifestyle changes and home remedies are being suggested by doctors to prevent hypertension, while for others who already have this condition – keep it from worsening. The following are some helpful steps to take that would help reduce your risk of hypertension. What makes blood pressure convenient and accurate is your choice of blood pressure monitoring/measuring device and if you are doing the monitoring properly. Make sure the cuffs fit properly and that your sphygmomanometer, whether it is aneroid, mercurial, or digital is easy to read. Allow yourself to learn how to use the device especially if you have no companion to take your blood pressure for you. Have the doctor check if you are doing it right or ask for a demo. Do you know that there are certain conditions that increase your blood pressure non-pathologically? Say, for example, taking coffee or tobacco before you measure your BP or eating foods high in sodium such as canned goods, processed meat, or even sugary drinks and sodas contribute to increasing your blood pressure. The Centers for Disease Control and Prevention have also noted eating foods low in potassium may pose a risk for high blood pressure. Proper monitoring of your blood pressure on a monthly basis at home helps but cannot be considered an alternative to doctor visits even if your blood pressure is well controlled. The tendency is for you to abruptly modify your doctor’s prescriptions once you are under the impression that everything is “normal”. Maintaining an ideal weight based on your body frame, age, and height takes a lot of discipline but attainable if coupled with regular exercise; a healthy diet of low-salt, rich in fruits and vegetables, whole grains; and a positive outlook. Try to shed off those extra pounds since a study suggests “women are at risk for high blood pressure if their waist measures more than 35 inches and for men 40 inches or more”. 30 minutes of physical activity or mild to moderate exercises suggested by your doctor can lower blood pressure down to safer levels so as much as possible develop a program and do it regularly. A halt in physical activity may risk a temporary spike in your blood pressure and can be dangerous. Smoking is a hard habit to break, everyone gets this but if you start thinking of the benefits you can get from quitting, you might want to start to consider. Nicotine damages the lining of the artery walls causing it to narrow and harden which, therefore, increase your BP. In summary, it is important that you follow your doctor’s instructions. 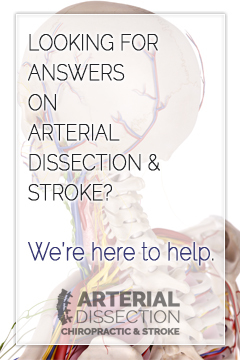 A vascular specialist is even better to help monitor and reduce your risk of cervical artery dissection by improving the health of your blood vessels through various diet and exercise programs suitable for your condition.